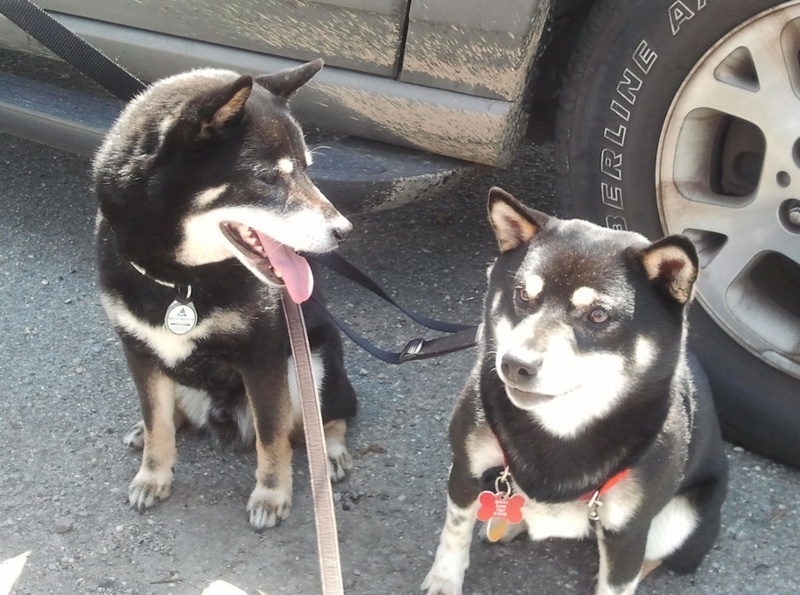 this weekend i did get to meet another PAWESOME black and tan shiba inu. (she iz my new girlfriend. 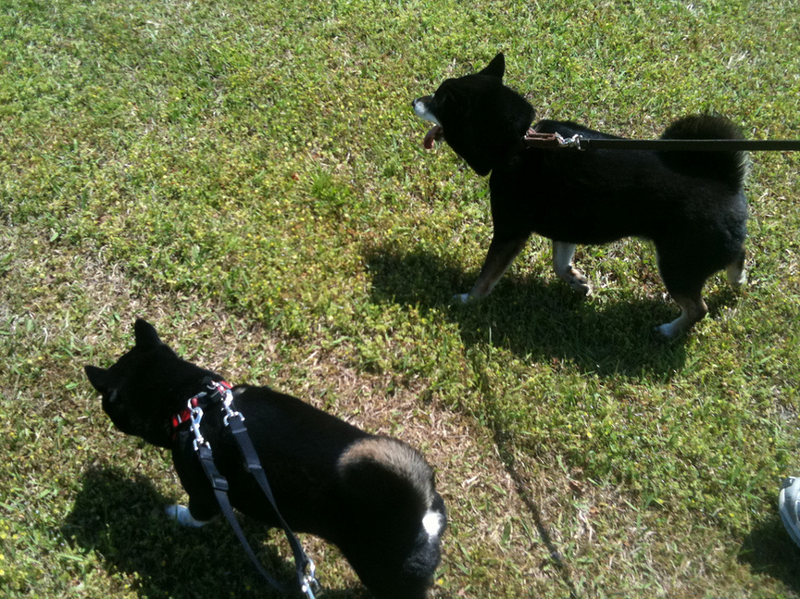 ssshhhhh) her name iz emmie and she iz walking all the way across the country and back with her human, troy yocum. sometimes she rides in the truck but she haz walked 2,300 miles on her own four paws!!! here iz a pikture of emmie and me when we first met and a couple piktures of us walking together. while we were hanging out together, emmie told me that she haz a Sekrit Mishun! i promised her that i would help let peeples know about it so we can all help her be successful. so, go here to learn about emmie’s mishun. if you can afford even just a little donashun to help, my mom sez it iz a very good place to spend your donashun dollars! 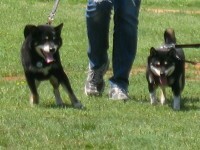 To learn more about Troy and Emmie’s hike across America, check out Troy’s site, DrumHike.com.